Margaret Sanger was the founder of the American Birth Control League in 1921 (which was the forerunner of Planned Parenthood of America). At first blush, it may seem striking for a progressive to ally with the Ku Klux Klan. 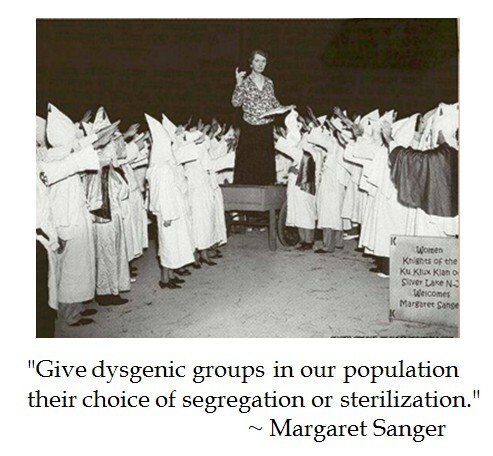 However, Sanger's eugenic ideas aimed at "inferior" unwanted minorities certainly appealed to the KKK. Moreover, the KKK's anti-Catholic, anti-immigrant auspices aligns with Sanger's project to progressively control birth. No one is more deserving of this honor than Leader Pelosi, who has fought tirelessly throughout her career to protect and expand women’s access to health care. 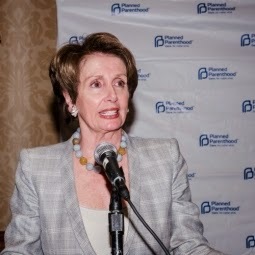 As the first woman to serve as Speaker of the House, Leader Pelosi recognized that women’s health is a mainstream issue impacting women and families. While Planned Parenthood certainly embraces the icon of Margaret Sanger for her mission to spread birth control and womens' health, but they conveniently have forgotten why Sanger pushed birth control, particularly among minority groups.